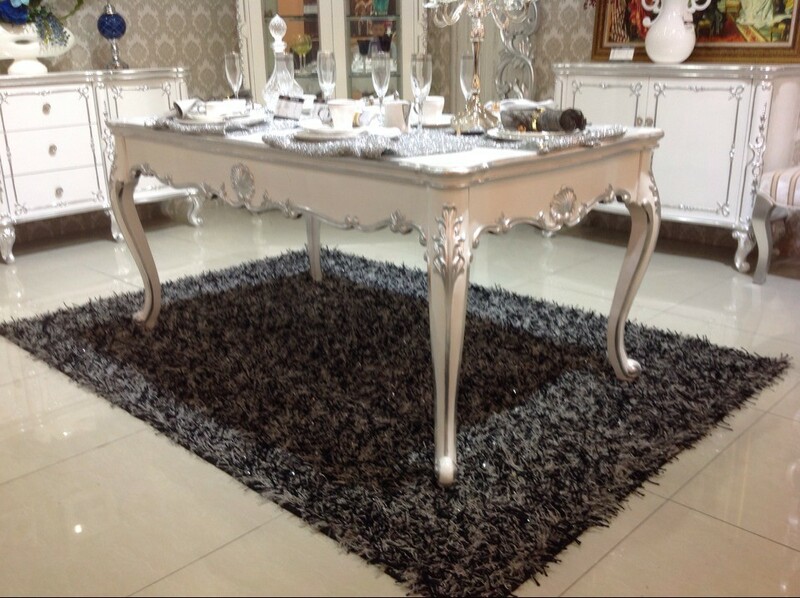 features : deluxe dining table with marble top . solid middle stone base with stanless steel . features: classical chairs with soild hard wood frame . Stains: Black with silver trimming. White with silver trimming .antique finish . Ivory white , pearl white . red mahogany. dark mahogany. Trimming finish: silver, gold, champagne gold .